Need home insulation or commercial insulation services? Look no further! Marshall Insulation is a full-service insulation company providing Sun City, Arizona with friendly, professional services for residential and commercial projects. Our mission is to help builders and homeowners reduce energy costs and save money.Contact us today to learn more about what we do or if you want a free quote for your project! The Marshall Insulation team works with builders and contractors on new building construction and commercial retrofit projects. Builder or contractor? We can help you finish the job on time and on budget. Business owner or property manager? The right insulation helps ensure the building will be energy-efficient all year round and help reduce overhead costs. Learn more about our commercial insulation services. Insulation is an important part of new home construction. It helps ensure the home is as energy-efficient and comfortable possible for future homeowners. Re-insulating older homes is effective in helping reduce energy bills and saving money. If your bills have been higher than normal, you may need more home insulation. Whether you’re a homeowner who needs to add insulation to your attic or a home builder looking to install rigid foam in a community of homes, contact us about our new home insulation and residential retrofit insulation services. When you need experienced contractors and the job done right the first time, you’re in good hands with the Marshall Insulation team. We work with homeowners, builders and contractors throughout the Sun City area. As part of the Installed Building Products (IBP) family of companies, we offer the resources and expertise few local companies can match. Call us at (602) 527-5858 or contact us online to learn more or start discussing your project! Our insulation team adds energy efficiency, comfort & value to all types of homes. Marshall Insulation installs 2” faux wood blinds for windows and French doors. 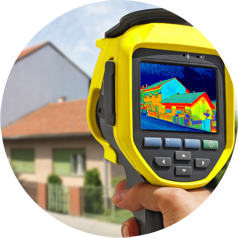 We provide comprehensive energy audits for homes and businesses to help maximize energy efficiency. 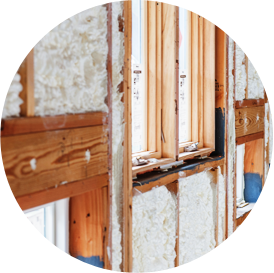 Marshall Insulation provides home insulation removal services. You are about to leave this Marshall Insulation and enter a third-party site. Marshall Insulation and Installed Building Products have no control over, and accept no liability, obligation, or responsibility for, the contents or performance of other websites. Any such link does not constitute an endorsement or any representation regarding, the linked website, its content, its owner, its performance, its owner’s products or services, or any forward-looking statements found in.